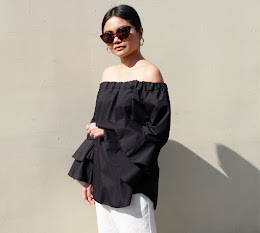 With Cebu's tropical weather different to most of you living in the west, I always try to come up with outfit ideas that are suitable and feature items that are wearable all year round. 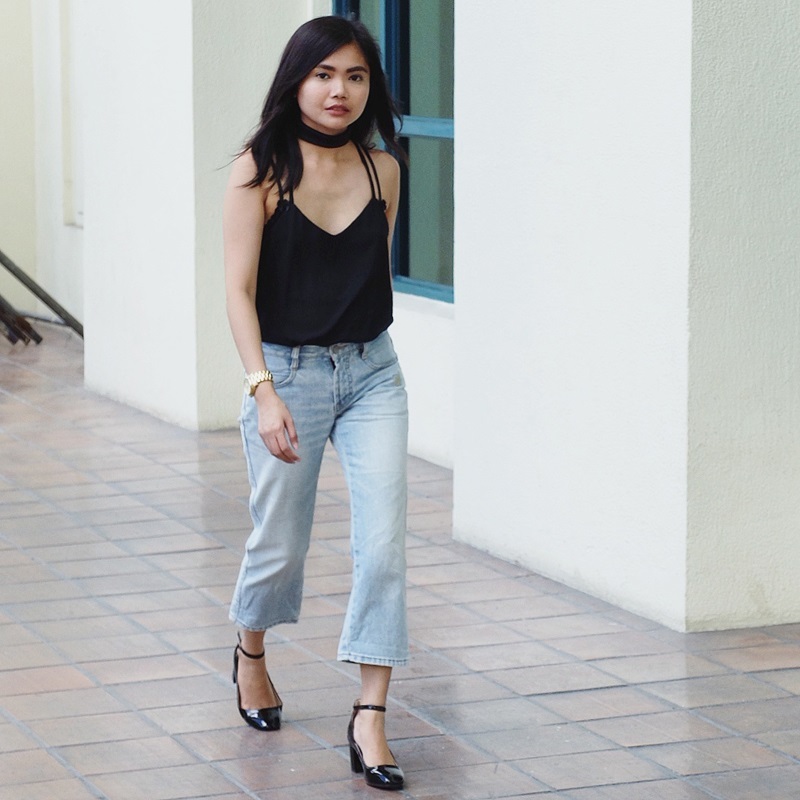 So for today's style post, I will be highlighting three wardrobe pieces that can take you through all four seasons: a black camisole, cropped flared jeans and block heels. I like stocking up on camis because of their versatility. You can wear them with high-waisted shorts and mini skirts during the hot summer months. And when temperatures start to drop in Autumn, you can easily layer a moto jacket or a blazer over it. Denim is a no-fail outfit option but how do you rework the classic blue jean? Instead of choosing an ultra fitting skinny silhouette, opt for a more relaxed flare― one that's cropped mid-calf. They look equally amazing with leather boots as they do with pointed toe pumps. What's the best alternative to ankle-breaking 4-inch shoes? Block heels. If you're not ready to completely switch to flats, these chunky-heeled substitutes offer not just style but also provide comfort and height― perfect on days chock-full of meetings and errands!